At noon on Sunday, March 13, a crowd of bleary-eyed locals poured out of the Del Mar theatre into downtown Santa Cruz. This group wasn’t merely under the influence of marijuana — although, that can’t be ruled out — it had been inside the theatre since midnight the night before. Not only did we pay $25 to forgo sleep and watch six movies in a row, we did so without knowing any of the movies’ titles. “Why?” you may ask. For the glory. 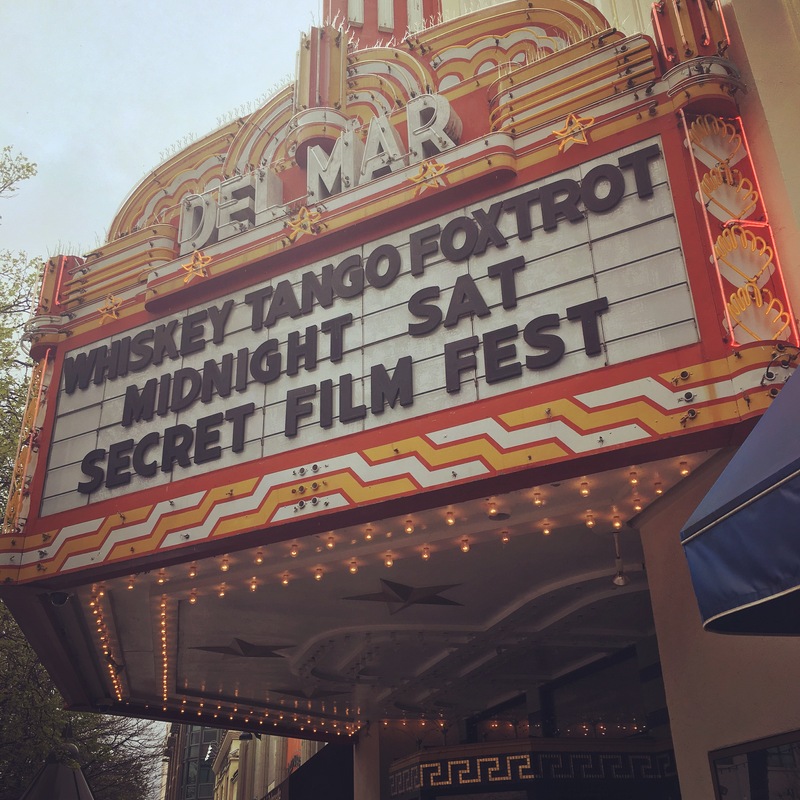 An hour before the Santa Cruz Secret Film festival was set to begin at midnight, the power went out. Thanks to El Niño, the Del Mar theatre and the downtown block it inhabits had gone dark. Nonetheless, dedicated film nerds formed a line to get into the theatre. One block over, closed businesses sparkled ostentatiously with garish lights. Chilly without a jacket, damp from the rain and tired after my road trip to Death Valley, I was less than ecstatic about the prospect of a 12 hour movie marathon. So I was a little miffed when the power went back on. I’m no humbug though, I joined in the collective cheers. For years I have wanted to check the Secret Film Festival off my Santa Cruz to-do list, but it had never seemed feasible until this year. Is there ever really an ideal time to pull an all nighter though? I am not exaggerating when I say sleep is my number one priority. Even so, I was able to make it through all of the movies, taking a brief, purposeful nap during a film I did not care to watch (Tales of Tales). Unfortunately, it was still going when I woke up. Those who stayed up through it said it was not unlike a dream in that you had no idea what was happening and in the end it didn’t matter. I offer these hard won insights so that you may use your time more wisely, perhaps, than I did. I still maintain, it was worth it for the glory!